Nearly 60 years after the integration of Central High, the city’s schools are still divided by race. LITTLE ROCK—In the 1960s, while other middle-school students were worrying about letter jackets or boyfriends or saddle shoes, LaVerne Bell-Tolliver was simply trying to stay sane. Bell-Tolliver’s parents had volunteered her to integrate Forest Heights Junior High in Little Rock in 1961, and as the only black student in a crush of white ones, she was always on guard. Boys pushed other students into her, crowing that her blackness would rub off onto them. Teachers ignored her raised hand and gave her low grades. For the two long years she was the only black student at her middle school, she sat by herself at lunch. Bell-Tolliver looks at Little Rock schools now, though, and wonders if her years of hell were all in vain. In the decades since the schools were first integrated, Little Rock has become a more residentially segregated city, with white residents in the northwest part of town and blacks in the southwest and south. Because the vast majority of children attend schools in their neighborhood, the schools have become re-segregated too. And those separate schools are not at all equal. For example, 58 percent of the students at Roberts Elementary, located in northwest Little Rock, are white, though the district as a whole is just 18 percent white. Roberts was completed in 2010 and has a climbing wall, a state-of-the art computer lab, a chemistry lab, telescopes, high ceilings, natural light, and a cafeteria with a stage and TV screens. Wilson Elementary, 72 percent black, is located in a majority-black neighborhood and, according to a lawsuit filed this year, has failing air conditioning, squirrels that died in the air ducts, and a cafeteria that was closed by the public-health department. In January of 2015, just a few months after two new members were elected to the five-member Little Rock school board vowing to make the district more equal, the state stepped in and took over the district, citing the board’s inability to fix six academically distressed schools in majority black neighborhoods. It then approved the expansion of two charter schools—which tend to enroll disproportionately higher-income student bodies—a move that will add 3,000 charter seats to the 6,700 that already exist within the boundaries of the 23,000-student district. In the background of all this recent controversy is a lawsuit filed by a handful of black plaintiffs last fall against the Arkansas Department of Education for subjecting the black students in the district to intentional racial discrimination. The district favors the white student population, the lawsuit alleges, by giving majority-white schools more resources, and by withholding resources from majority-black schools. The lawsuit also accuses the state of subjugating the rights of black students by wresting control from a democratically elected school board. The state has filed a motion to dismiss the case, and both sides are waiting for a judge’s decision on that motion. Of course, what’s happening in Little Rock’s schools is less violent than the battles of the 1950s, when mobs gathered to prevent students from integrating Little Rock’s Central High School, students had acid thrown in their faces, and when President Eisenhower had to call in the 101st Airborne after Governor Orval Faubus refused to allow black students into the school. 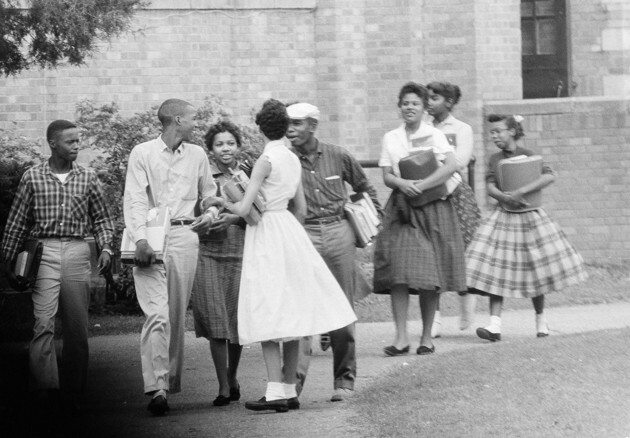 Faubus even closed Little Rock high schools for the 1958-’59 school year to avoid integration. Today, those who oppose integration are still fighting it, but in less overt ways. They have moved to outlying areas to get away from lower-income, black families and have prevented those families from following them. They’ve built new schools and established charters in these majority-white areas so that white children don’t have attend lower-performing majority-black schools. And they’ve made sure that the people who are trying to push back against these actions don’t have power in the district. What’s stunning about today’s methods of avoiding integration is that they are, by and large, legal, but they nevertheless leave black students stuck in schools that are separate and unequal. Toney Orr, who is African American, has twin sons who attended two different elementary schools in the Little Rock School District. Because Orr’s sons were diagnosed as being on the autism spectrum, he and his wife were worried about sending their kids to the same school, for fear of monopolizing the time of the special-needs counselors. So, after working for years to get the district’s approval, the Orrs sent their sons to two different schools. One son went to Roberts Elementary, the new school on the west side that is 58 percent white. Another went to Washington Elementary, which is 2.3 percent white. The son who went to Washington was given books that were missing whole pages or sections and were often covered in graffiti and long lists of their prior owners, Orr said. The son who went to Roberts, meanwhile, one day ripped a page in his book by mistake, and the teacher went to a closet where there were stacks of brand new books and simply gave him a new one, Orr told me. That wasn’t the only discrepancy. The son at Roberts had access to classrooms that were set aside for one-on-one occupational therapy. At Washington, Orr was told that there weren’t the resources for special-needs instructors. Class sizes were bigger, so his son received less individual attention. The differences between schools is reminiscent of LaVerne Bell-Tolliver’s experiences before she integrated Forest Heights. In the segregated elementary school she attended, Bell-Tolliver received books that were hand-me-downs, with six or seven names written in the front. The building she went to school in was not as nice as the white elementary-school buildings, although she didn’t know it at the time. Sixty years later, the schools in the district with the highest white enrollment—Forest Park, Jefferson, Pulaski Heights, Roberts, and Terry—are allegedly the only schools where individual computers are distributed to students, according to the lawsuit against the state. By contrast, Washington Elementary, which is just 2 percent white, has bug and rat infestations; Cloverdale Middle School, 3 percent white, has inoperable bathrooms and an inadequate library; Dunbar, 10.5 percent white, has only fake, cardboard keyboards for students to use during a typing class. Lakesha Smith’s son attended Fair High School, which is one of the schools that the state deemed academically distressed. At Fair, Smith says, teachers didn’t talk about reading or grammar, but rather what brands of clothes they wear. Her son started using grammar she disapproved of, saying things like, “Is you going to take me to the store?” When she visited Fair, there were students walking around in the hallways, cursing. After two years of advocating, she got her son transferred to Central High, the district’s flagship school. Central was a different world, she said. There were Russian and Chinese classes, pep rallies, and computer labs. From 2004 to 2015, Karen DeJarnette was the director of planning, research, and evaluation in the Little Rock school district, where she was in charge of monitoring black student achievement. In her inspections, she found that some schools, predominantly in the poorer (and minority) parts of town, were plagued with mold and asbestos, had water that dripped through the ceiling, and, sometimes, lacked functioning toilets. Most of the subpar schools were in the east and south parts of town, where test scores were lower, which is no coincidence, she told me. “There was a direct correlation with under or poorly-resourced schools and poor results of students on standardized tests,” she said. DeJarnette pointed out the disparities in the reports she compiled for the district, but her comments weren’t acknowledged, she said. Instead, according to her, the board and administrators would talk about how badly some schools were performing, without talking about how under-resourced those schools were. I asked Baker Kurrus, the former Little Rock School District superintendent, how resources were distributed among schools. (Our conversation took place when he was still in office.) He said that funding was based on enrollment, but that some schools get more if their students are struggling. Paying for facilities, though, is population-driven. That’s why, rather than replace Cloverdale, a middle school on the south side of town, Kurrus advocated for building a new middle school in the white, west side of town. The district knows that Cloverdale is struggling; on a district report card, the school received an “F” grade because of the low number of students at proficiency levels. But the west side of town is growing. “The demographics demand a school in that area; it’s a high-growth area,” he told me. Of course, the differences in the racial makeup of schools can’t be blamed entirely on the school district. It’s more a result of where people have chosen to live. But these are not unrelated phenomena: Patterns of residential segregation have intensified in Little Rock since the 1950s. “In effect, you build a school district that reflects the neighborhoods and you say, ‘We're not segregating schools, neighborhoods just happen to be segregated,’” said John Kirk, a professor at the University of Arkansas Little Rock. Little Rock is predominantly a black and poor city to the south of I-630, but it’s a white and affluent town north of I-630 and west of I-430, Kirk told me. A mapcompiled by the Arkansas Democrat-Gazette displays the city’s segregation: The borders of Little Rock look like the head of a bird facing east; the face and beak are majority black, while the feathers on the top of its head are mostly white. That segregation came about intentionally, Kirk says, beginning in the 1950s. Whites and blacks once lived in proximity to one another, he said, until the Federal Housing Act of 1949 was passed. That law allowed the city to replace dilapidated housing, and permitted planners to tear down a black neighborhood close to the town’s relatively white center. The city then constructed public housing for black families in the city’s far east side, he said, while the state built highways to speed white residents’ exodus to the western suburbs. 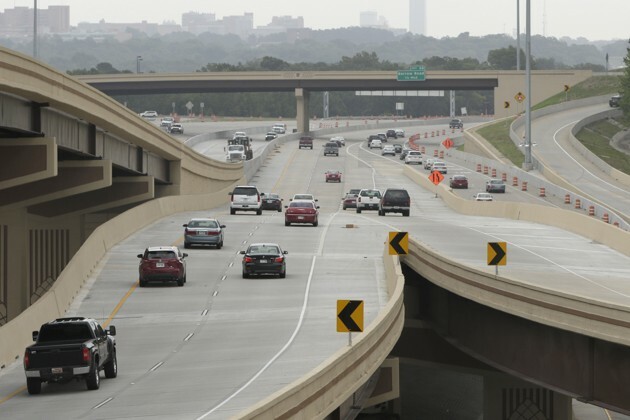 Highway I-630, like many throughout the country, was built on top of where a vibrant black community had thrived, and in constructing it, the state decimated that neighborhood while putting up a boundary that segregated the city. Meanwhile, real-estate agents steered white families towards the west and north parts of town, and directed black families to the south and east, Kirk says. They placed restrictive covenants in housing contracts, prohibiting families from selling to blacks, and banks denied loans to black families who were trying to buy in white areas. Slowly but surely, Little Rock became more segregated. Bell-Tolliver saw it in her own neighborhood. Her mother was a teacher and her father was the first black medical technician for the VA, and when Bell-Tolliver was in elementary school, the family bought a home in what was then the west part of town, in an area that was mostly white. Some of the white neighbors didn’t like to see Bell-Tolliver and her siblings in the area, and when the children walked from their homes to the traditionally black neighborhood, they’d sometimes get tin cans and trash thrown at them. Over time, the white families in her parents’ neighborhood sold their homes and the area became majority black, though, and the Bell-Tollivers were once again surrounded by people of their own race. Little Rock was 77 percent white in 1950, according to Census data. Today, long after the suburbs had been developed, it’s 48 percent white. The school district played a role in the city’s segregation, too, said Walker, the attorney. It built new schools in west Little Rock, in areas that were not very populated. Then, realtors targeted white families who lived elsewhere, telling them if they bought a house in that area, their children could attend a new school that was for white students, he said. Further, white people who lived in integrated neighborhoods started sending their children to private and parochial schools, and by 1982, the Little Rock School District was mostly black while the surrounding districts in Pulaski County were mostly white. To its credit, the Little Rock School District tried to eradicate that disparity by suing the white districts in the ‘80s. The hope was to create a single metropolitan school district, similar to what has been done in places such as Louisville. But when Judge Henry Woods ruled in 1984 that three local districts would have to be consolidated, the 8th Circuit Court of Appeals overruled him, calling the remedy too extreme. Instead, the courts decided only to expand the Little Rock School District to match the city limits and required the state to pay money to the three local districts to hasten integration. In 1990, Woods recused himself, saying that obstructionists had won. “Down deep, many whites don't want their kids sitting next to blacks,” Woods told The New York Times in 1985. Many in Little Rock see that failed lawsuit as the last, missed, chance to overcome the residential segregation of the city. Since then, courts have declared the schools “unitary,” or desegregated, even though the disparities indicate otherwise. In 2014, a judge approved a settlement that phases out the desegregation payments to the school districts. Today, the fight over Little Rock’s schools is further complicated by the state’s interest in charter schools, which didn’t exist in Little Rock 60 years ago. To Neil Sealy, the head of Arkansas Community Organization, a descendant of ACORN, the charters are a way to make sure that the white students who don’t get into the majority-white public schools have another alternative.“The fear is that charter schools are a way of sort of mopping up the remaining white students in the public-school district who can’t afford to go into private schools,” he said. Indeed, data indicate that the charter schools aren’t representative of the district. One of the schools that just received state approval to add more seats, eStem, has just 31 percent free and reduced-lunch students, while district-wide, Little Rock has 74 percent free and reduced-lunch. eStem is 42 percent white, while the district is 17.5 percent white. One reason charters take more white and affluent students is that parents of kids at charter schools are required to drop off their kids or arrange for transportation, and lower-income parents often don’t live or work near the schools, and don’t have the time or resources to drop off their kids across town. Baker Kurrus, who was until last week the superintendent of the Little Rock School District, predicted that if eStem and another charter, LISA, were given permission to add the 3,000 more seats they were requesting, the white population of the public schools would go down 30 percent, while the district’s percentage of poor and disabled students would go up. "The Walton Family Foundation supports efforts to improve K-12 education for all children in all types of schools including traditional district schools and public charter schools,” a spokeswoman, Daphne Moore, wrote to me in an email, adding that the foundation finds that charter schools actually serve more poor and minority students than public schools do. “We care deeply about the schools in our home state,” Moore wrote. 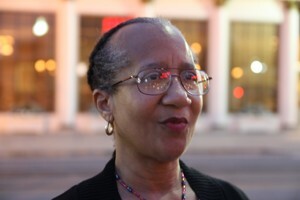 Among the State Board of Education members who voted to have the state take over the district, two of those who supported the takeover were either related to employees of the Walton Family Foundation or worked for groups that received money from the foundation, according to Barclay Key, a white parent in the district who is also a professor at the University of Arkansas Little Rock. (Separately, one member went to work for the foundation five months after the takeover.) Perhaps not coincidentally, last week, the state announced that Mike Poore, the superintendent of the public schools in Bentonville, where Walmart is based, would replace Kurrus. “This has Waltons written all over it,” said Kopsky, of the Public Policy Panel. It will be difficult for people living in the district to push back against the charters’ expansion, with the school board taken over by the state and the decisions about charter schools in state hands. 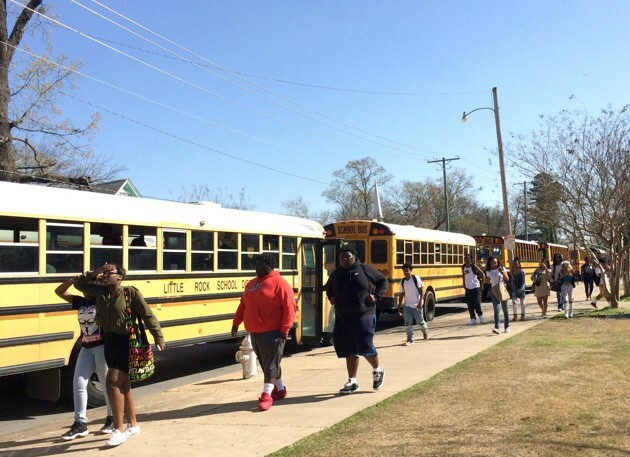 To reverse course, Little Rock would have to make big changes, perhaps combining its suburban and city school districts, or perhaps trying to reverse patterns that have led to such stark residential segregation. But the desire to make those changes doesn’t exist, Kopsky says. “The biggest problem in Little Rock is that after decades of stagnation, there’s no political will in the community to do anything,” he told me. There was, however, one time when the community came together and decided to try and narrow the divide. After the turmoil of the integration of Central High in 1957, Governor Faubus closed the Little Rock high schools for the 1958-’59 year to avoid having to integrate them, shutting more than 3,000 black and white students out of the district. Little Rock voters supported his decision in a citywide referendum by a three-to-one margin. But then the segregationists went a step too far. During a school board meeting in the spring of 1959, near the end of the lost year, as it’s called, three moderates walked out. Rather than end business, the remaining three segregationists voted to fire 44 district employees who they thought had supported racial integration. Not wanting to lose teachers and administration, the community pushed back. A group, STOP (which stood for “Stop This Outrageous Purge”) started a campaign to recall the segregationist board members. After a vicious battle, they narrowly succeeded in convincing Little Rock residents to vote for a school board that would open the schools that fall. They were able to succeed because residents wanted to push back against the sheer audacity with which the segregationists had pursued their goal. Advocates for integration might have a much harder time today, because the tactics people use to avoid sending their kids to integrated schools are more subtle, and the lines of right and wrong so much less clear. More than 50 years ago, the community of Little Rock had to decide whether or not to continue to condone segregation. The community came together, for a moment, in support of integration. It may never do so again.